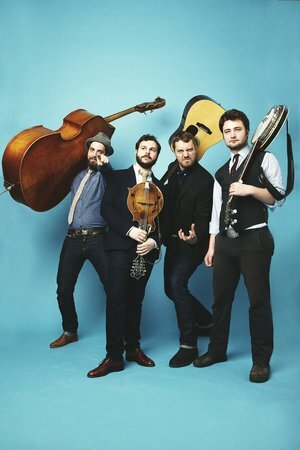 On their much-anticipated new album Queen City Jubilee, The Slocans showcase their unique blend of bluegrass, old-time and folk with deep song-writing, lightning fast instrumentals and sawdust-thick vocals. With their trademark raucous energy, this new album presents The Slocan Ramblers at the top of their game – writing and playing tunes to keep you up all night. This is roots music without pretension, music intended to make you feel something – say hello to your new favourite band. The Slocans are: Frank Evans (banjo), Adrian Gross (mandolin), Darryl Poulsen (guitar) and Alastair Whitehead (bass). Breakers Yard is the Willamette Valley’s most eclectic acoustic band. Sampling from ragtime, country blues, jug band, hot jazz and delta blues traditions, they do everything from Lindy Hop dances to cowboy ballads to bootie-shakin’ dance parties. You can find their new album Tried and Untrue at shows and digitally on CD Baby, or you can pay them a visit at www.breakersyardmusic.com. Break it down! Band members are "Tasty" Matt Fleming (drums & jive)|, “Washrag” Joe Davey (tenor & plectrum banjos) Brandon “Greazy” Olszewski (resophonic guitar, harmonica, & fiddle) and Steven “Grandpa” Weeks on bass. Tickets are $13 in advance, $15 day of show. Doors open at 8:00 pm and showtime is 8:30. Partial seating is available on a first come, first served basis.